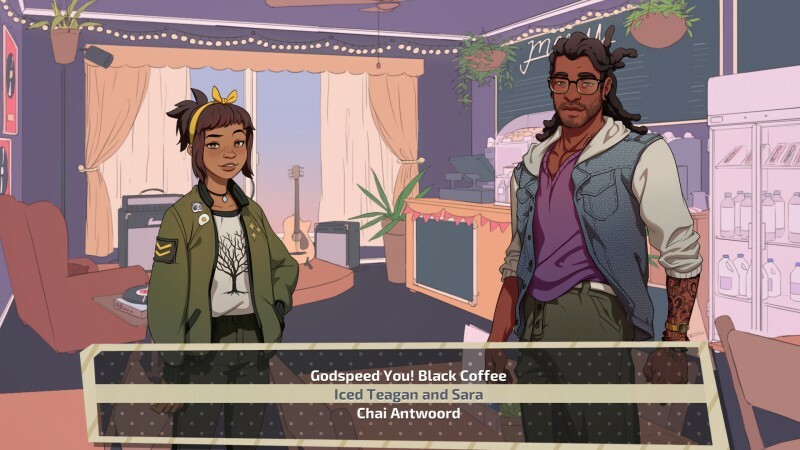 The subject of dads dating other dads may sound like a strange topic for a visual novel, but developer Game Grumps (known for its YouTube series) makes the concept engaging with character-driven stories about parenthood, love, and loss – all while you date a bunch of hot dads. You play as a widowed father to an 18-year-old girl named Amanda, and you both have just moved to a new neighborhood. As you continue to develop a relationship with your daughter, you also meet seven other (mostly single) dads that you can date, each with their own distinct personalities and diverse looks. Dates play out as you click through dialogue to progress. Dialogue options allow you to make decisions, which impact how your date perceives you and how much they open up. These interactions are mostly satisfying, but some choices that I didn’t perceive as negative nonetheless impeded me from successfully completing certain romances. For example, choosing to consensually hook up with a character early on restricts you from dating them more seriously later on. 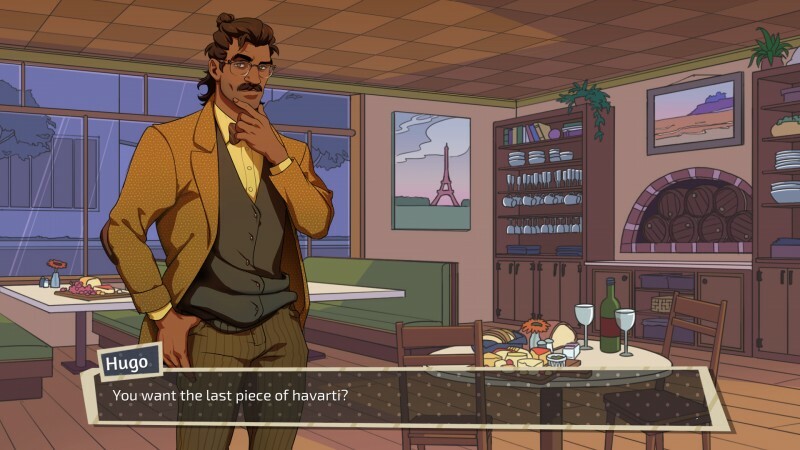 Dream Daddy’s focus is on dating and storytelling, but it also has a handful of minigames. Some of these are charming and clever, such as how bragging about your kid to one-up another parent is portrayed in a Pokémon-style battle. Others lack enough instruction or are frustrating, including a mini-golf sequence that takes several tries to master. This is unfortunate, since the success of some dates can hinge on your minigame performance. Starting off, dates come across more like casual hang-outs. Whether you’re at a softball game to see your date coach his team or you’re heading out to a concert that has an awful opening band, the focus is on getting to know a fellow dad. These interactions aren’t always romantic; a lot of the time, you are two dads talking about the struggles of parenthood or cultivating a friendship that can later blossom into a relationship. It’s a refreshing look at fatherhood and male bonding that is rarely portrayed in games. Character development and natural dialogue are two of Dream Daddy’s strongest elements, where each dad changes depending on your interactions. Each character is well-written, such as a music enthusiast who struggles with past trauma, and a chubby and heartwarming man whose competitive side is only a small piece of his true personality. While I appreciated the pacing of the dates, the arcs become off-kilter in the latter half of the game. Romances wrap up hastily before credits roll, and interesting topics aren’t always thoroughly explored with your partner. 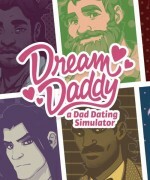 Dream Daddy tells captivating storylines, but it lacks the depth needed to make a lasting impact. The best moments are outside of dates completely. A large portion of the game is about your interactions with your teenage daughter, who is going through high-school drama and leaving for college soon. Helping her through troubling times and offering support as a loving dad is incredibly fulfilling and heartwarming. The relationship between the two is healthy and fun to witness through its ups and downs. Their banter is especially hilarious, with well-placed groans from your daughter as you make bad puns. 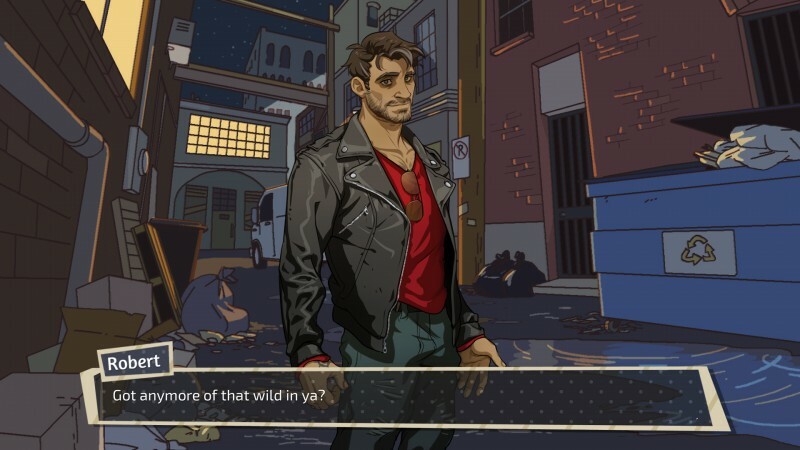 While Dream Daddy is undeniably a queer game, the topic of queer culture is never directly addressed. 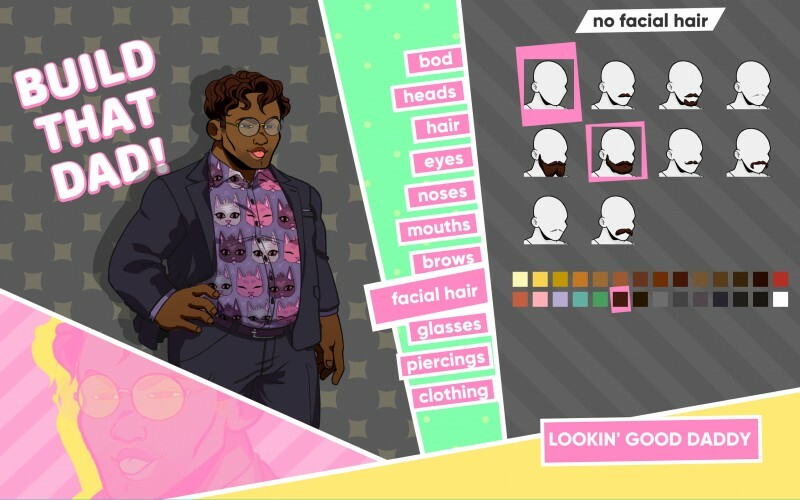 Datable characters don’t ever speak of sexual identities, which can feel strange at times, but it is also appropriate; since Dream Daddy is about fulfilling fantasies rather than mirroring reality, I got the sense that this world is removed from those social issues. 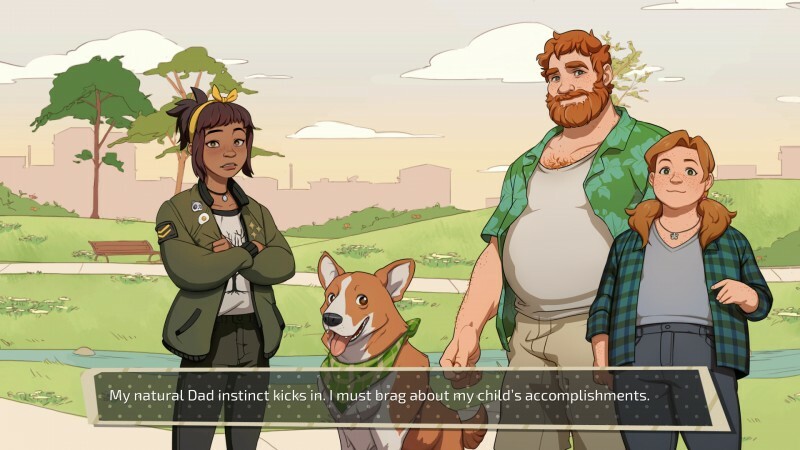 Dream Daddy is a surprisingly wholesome game about fatherhood, and about finding love again after loss. The well-written dialogue surprised me, and so did the fact that it is an incredibly heartwarming game. 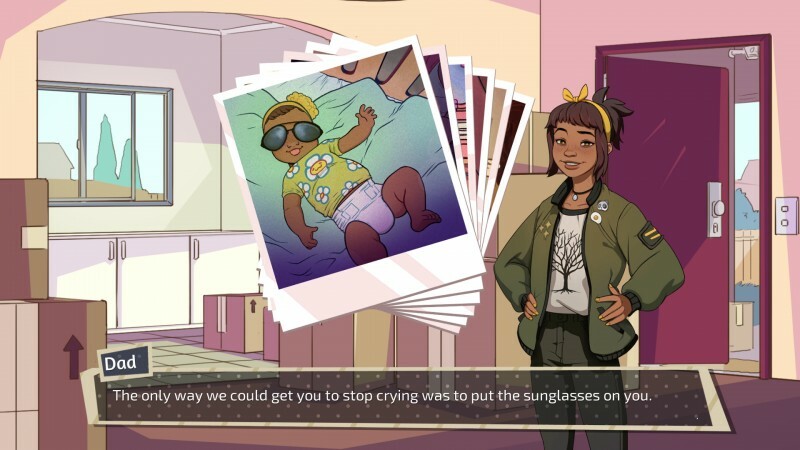 Rather than focusing on titillation, Dream Daddy has a cast of characters that are both real and diverse, even if it doesn’t always bring enough depth to the topics it tackles. Dream Daddy is a surprisingly endearing visual novel about fatherhood, love, and friendship.